Dogs are one of the most abundant terrestrial carnivores. Studies have found that dog owners have lower blood pressure, lower cholesterol than non-dog owners and are less likely to have minor or serious health problems. Many of us like to have a pleasant walk every day in the morning with our four-legged friend on a fresh morning. But sometimes some of the habits are very annoying, like when you enter the room and you feel attacked by the over-exuberant animal. 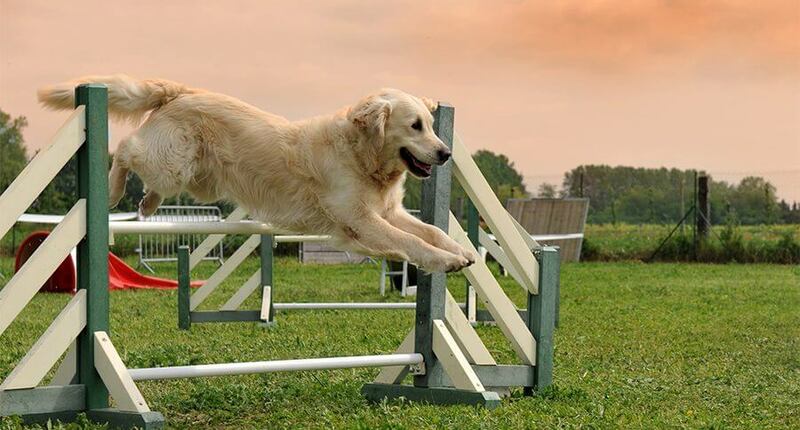 Dogs can be over-enthusiastic and they often have an urge to jump, sprawl, and roll. They always move around you to gain your attention and once they gain your attention they want to play with you. So, figuring out is very important and analyzing the situation that what makes them do so and behave in such a way. Try different types of activities with him and observe and try to learn his behavior. If you are still not a pro at understanding your dog’s behavior don’t worry there are some people who have mastered in observing and learning your dog’s behavior. If you don’t have time and you want your dog’s paws to be settled on the floor what you can do is hire a professional trainer and ask him to train your friend. Dog development and etiology, genetics of behavior, fixed action patterns, social signals, body language, social development, critical periods, hormonal influences, breed characteristics are some of the things on which he will take care of and will inform you about his performances. Don’t go a make your dog to wear the leash. Keep the leash down and let him take it first and come and give it to your hand. Master these until and unless your dog becomes used to it don’t force your dog and make him wear the leash. Try to make him understand hand gestures because that’s the most basic way of communication. To make him learn how to sit first hold a biscuit or any treat in front of him and then move your hand allowing him to move his head and follow the biscuit wherever it goes. Try to move it up and down so that he slowly settles down and when he does give him and share affection by rubbing your hands on his head or tickling him down his neck. Using a gentle pull with the leash you can also make him come forward and once he gets habituated remove the leash and practice it several times. Like any other animal dogs also likes treats and being showed affection every time he does obeys your order. So, to make him learn manners always try to give him a treat every time once he is obeying your orders and hug him and say that you love him. Dogs are one of the most intelligent animals and can understand your feeling much better than yourselves. So, practice and make him master every activity to make him a civilized animal. Make him learn to sit, come, run and bring it, leave it, stay etc. and do avoid jumping otherwise he can also inculcate the habit. Dogs are one of the most sensitive animals and they also try to get as attention as your kid and thus they try to follow the way your kid moves, plays, yawns etc. We should teach our kids not to touch or approach the dog in absence of any adult in the house. Make your children and dog spent much more time together and encourage your children to touch, hold and hug the dog and try to make them friendlier. Always encourage your kids not to jump in front of the dog otherwise the dog would want to copy the same. Dogs are a wonderful companion. Owning a dog can even repair oneself from personal trauma such as bereavement. Taking your dog out for a walk every day can even make you fit and healthy. Thus, teaching your dog to follow some manners is very important because he is living with you and in your family and being a civilized being we should teach them how to behave in front of random guests. On the top of all these dogs are also fantastic fun. They can make you laugh and they are there at the end of a hard day and they’ll almost always be on hand when you need a nice hug.